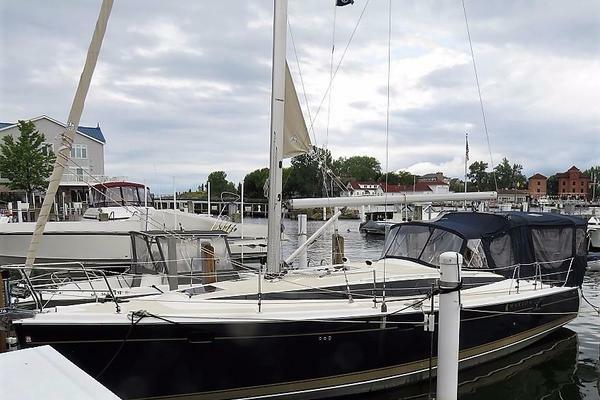 Very nice vessel at a great price! Safe and Sturdy passagemaker! Vent D'Ange is a custom steel hull and beautifully finished mahogany and birch interior! 2 large staterooms with the easy ability to increase to 3 cabins. Large salon with panoramic windows, long double sided galley. Beautiful home where you drop the anchor! Vent D'Ange is a beautifully finished vessel that has seen little use for her age. She has the potential to increase the number of cabins but currently makes for a truly comfortable home for two. Sturdy passagemaker!! My translation of the history is as follows... please allow for slight interpretation on my part. This beautiful steel boat was built in the Montreal Longuelil Marina and boatyard and then used seasonally in freshwater for 10 years. 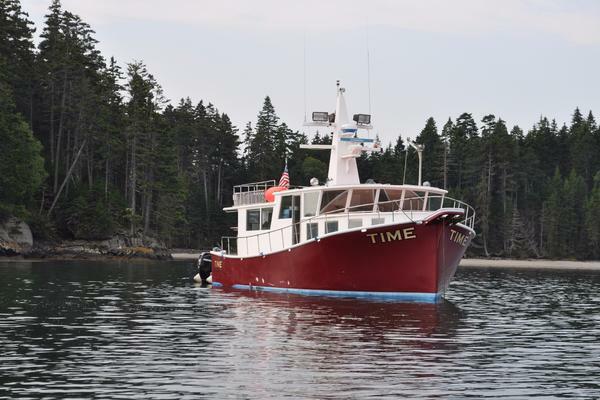 The current owner purchased her in 1996 and began a 5 year project to rebuild the boat to his specifications and layout (in his backyard) This first began with sandblasting the hull and then the appropriate barrier coat and painting. The owner is a carpenter who lovinging rebuilt the interior cabinetry using mahogany and birch. The rigging and rest of the outfitting was completed in 2000. The owners then took a 9 month trip and then returned to go back to work. The boat was hauled again and a few modifcations like adjusting the water line and adding a custom swim platform was done. Their next trip was in 2004. The boat was then on the hard for the next 6 years. since 201o, she has made two roundtrip journeys from Quebec to Florida. After that she has been used on seasonal trips from Florida to the Bahamas and stored on the hard in the summer in Florida. She is currently on the hard in Fort Pierce and can be readied for a survey seatrial in short order. As you decend the entry steps into the salon, you will find a beautifully finished, comfortable long double sided settee and dining table to port. The table has a flip over top to create a large dinette or practical smaller portion. Storage is plentiful under and behind the settee. The deck salon windows provide a scenic view and plenty of natural light. The interior joinery was handcrafted in a professional manner. The starboard salon has a large forward facing navigation station and two comfortable lounge chairs. The double sided galley is in the port passageway leading to the master stateroom. The master cabin has a generous athwaship berth, plenty of drawers and hanging lockers. The master head and shower is in the starboard passageway and has double sided access from the aft cabin and the salon. The private guest quarters are forward with a pullman style double berth to port and a huge closet and sitting area to starboard. This area could easily be built out to create another large pullman berth or over under bunks. The forward head is located forward and then followed by a deep saillocker with overhead hatch and anchor locker. All the ammenties you would like and plenty of counter space for food prep in this double sided galley.